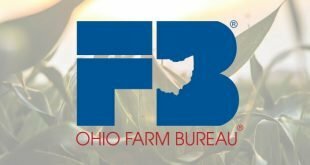 With the Feb. 26 special election on the Lake Erie Bill of Rights looming in the city of Toledo, Ohio Farm Bureau is encouraging farmers to enroll their operations in an agricultural district. 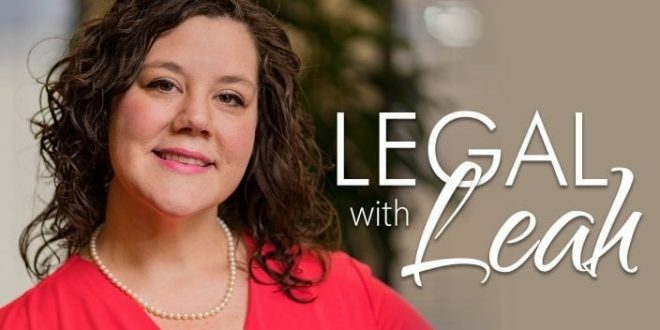 OFBF Policy Counsel and Senior Director of Member Engagement Leah Curtis sat down with Ty Higgins, OFBF director of media relations, to discuss LEBOR’s potential impacts and the overall benefits to farmers who enroll in an agricultural district. 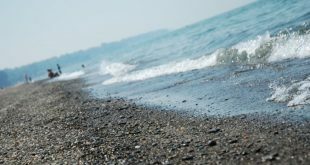 The Lake Erie Bill of Rights (LEBOR) states that Lake Erie, and the Lake Erie Watershed, has the right to “exist, flourish and naturally evolve…” and gives any Toledoan the right to file a lawsuit on the lake’s behalf against any business or government entity in the Lake Erie Watershed. 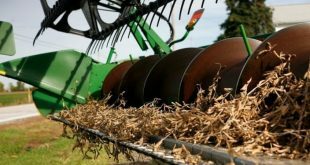 The ag district program provides an affirmative defense for farmers in certain types of nuisance lawsuits. While it is not certain this defense will apply in potential LEBOR cases, it is one of the best and most underutilized tools in agriculture. 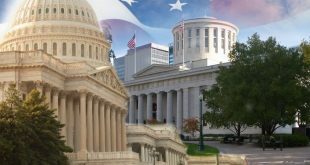 No bill is more important to the operation of key state agencies and programs that support agriculture than the state’s two year operating budget. The Ohio Department of Agriculture must be funded at levels that allow it to effectively carry out its core mission as well as responsibilities such as the ongoing implementation of the federal Food Safety Modernization Act, nutrient management regulations, fertilizer applicator certifications, meat processing inspections, livestock care standards, dog breeding and oversight of Ohio’s Soil & Water Conservation Division. 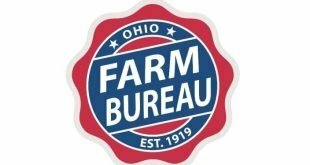 Farm Bureau also will support funding for water quality programs that produce science-based data and strategies, and can verify on-the-ground practices and results to protect Ohio’s water resources. Detlefsen said, “I’m so thankful for the Foundation’s passionate devotion to telling the story of modern farming in America. 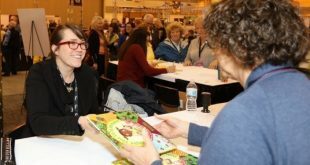 In children’s literature, we talk a lot about windows and mirrors, meaning that young readers need to view the worlds of others, and they also need to see the world they live in reflected on the page. 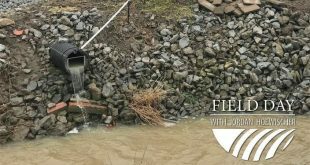 In the latest episode of Field Day with Jordan Hoewischer, Ohio Farm Bureau’s Director of Water Quality and Research talks with Dr. Kevin King from USDA Agricultural Research Service. Hoewischer and his guest discuss King’s edge-of-field monitoring program which serves as the backbone of scientific information for most nutrient and soil management decisions in the Midwest. Q: What’s happening on farm fields? (The research) is kind of the missing link between how decisions are being made from a number of different facets. So how is that information used? What’s the end game with all this information? A: Our ultimate goal when we first started this was to identify practices that offer an ability to reduce nutrient loading to surface water bodies or polluted water bodies. 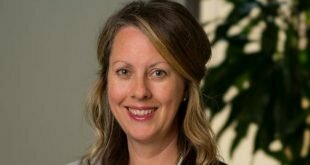 “Our newly created strategic partnership team will be beneficial as we build on relationships within the food and agricultural community,” Sharp said. Farmers are encouraged to enroll in an agricultural district. The ag district program provides an affirmative defense for farmers in certain types of nuisance lawsuits. While it is not certain this defense will apply in LEBOR cases, it is one of the best and most underutilized tools in agriculture. Enroll in an ag district via the county auditor. 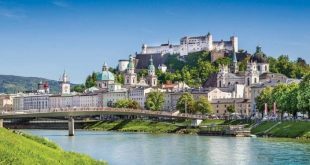 Hosted by Collette Tours, one of the oldest and most respected 4-star tour operators in the United States, Ohio Farm Bureau presents the “Discover the Alpine Countries” trip departing Sept. 12, 2019. 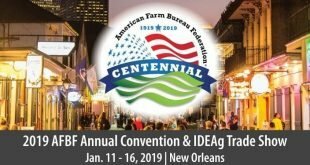 “Many of our members have traveled the United States extensively, but a trip like this will give them the opportunity to see other countries as well as the peace of mind of traveling with a top-notch tour operator, and traveling with a similar group of great people,” said John Marihugh, Ohio Farm Bureau director of member services. 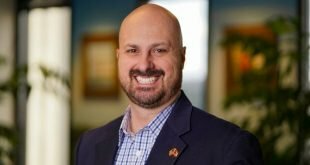 Ty Higgins has been named director of media relations for Ohio Farm Bureau. He will be the organization’s primary point of contact for journalists reporting on farm, food, environmental and public policy issues. 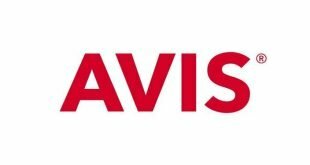 Higgins also will contribute content across Farm Bureau’s print, broadcast and social channels and will work with Farm Bureau members as they communicate with public officials and consumers. He and his wife, Angela, are parents of two children. This morning’s closing General Session featured the announcement of the Young Farmer and Rancher competition results, the Rural Entrepreneurship Challenge Awards, remarks from Secretary of Agriculture Sonny Perdue, and keynote speaker President Donald Trump addressed the group. Jess and Adam Campbell did not advance in the Excellence in Agriculture contest. The counties that won the County Activities of Excellence presented at the IDEAg Trade Show. 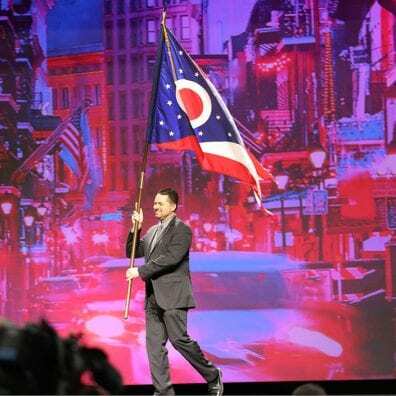 The opening General Session of the 2019 American Farm Bureau Annual Convention began with the annual parade of state flags. Notable presenters included Louisiana governor, Gov. John Bel Edwards and Mike Strain, commissioner of Louisiana’s department of agriculture and forestry. AFBF President Zippy Duvall delivered his annual address, focusing on the history of AFBF and how it has been a united voice over the last 100 years. It sounds incredible, and likely won’t become a reality, but the threat is real enough that Farm Bureau is engaged in the legal maneuvering. The rights this measure would grant the lake include, “an ability to exist, flourish, be free from pollution” and other broadly described entitlements. Any farming practice that allegedly infringes on these rights presumably makes the farmer subject to a lawsuit. Our AgriPOWER class focused our November session on two primary topics: state level governmental and judicial affairs and sustainability. 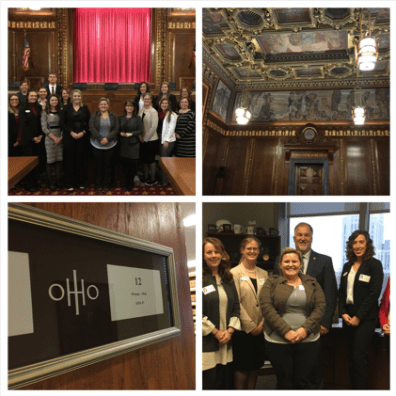 Our travels brought us to the capital city of Columbus, which is where we met up with Supreme Court Justice Judi French, who gave us a personal tour of her c ourtroom, as well as shared with us the judicial process for the court. We enjoyed the opportunity to meet with several of our elected officials through legislative visits in the House of Representatives. Our discussions were a mosaic of topics that were concerns we brought from our various home counties and an illustration of the broad experiences and backgrounds from which we each hail. From water quality management to funding for 4-H and extension education to the opioid crisis hitting all of our communities in devastating ways, we shared personal stories from our home farms and neighbors. 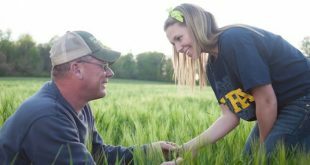 Numerous agricultural organizations, county Farm Bureaus and the Ohio Farm Bureau Foundation are offering scholarships for students whose parents are members of that organization, or for students pursuing majors in an agriculturally related field. The list will be updated throughout the year. Ohio Farm Bureau Foundation. Various scholarships and application due dates, some as late as June 30. 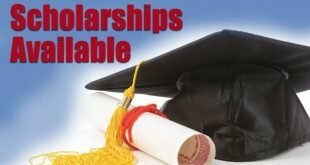 Ohio Agricultural Council is offering six $1,500 scholarships to assist students pursuing undergraduate and graduate level agricultural-related studies. Applications can be found by clicking here. Application deadline – Feb. 15. 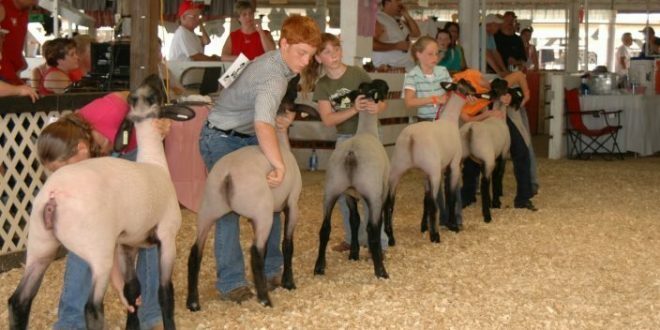 Kavanagh Wildlife Farm, Inc. (scholarships for students in Greene and Clark counties) Apply by April 15. 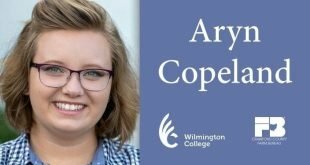 During December and January, 10 agricultural educators are being named as Golden Owl Award finalists in surprise ceremonies throughout the state. 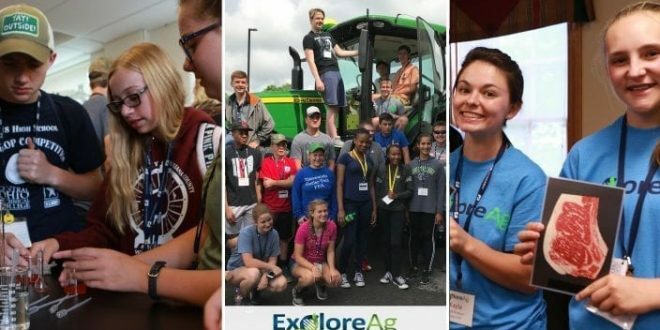 Presented by Nationwide, Ohio FFA and Ohio Farm Bureau, the Golden Owl Award honors educators for their outstanding contributions in helping future agricultural leaders. Nominations were accepted through November 2018. The 10 teachers who have been selected as Golden Owl honorees receive a $500 prize and entrance into the final selection stage. One honoree then will be chosen for the grand prize, the Golden Owl Award and $3,000. The Golden Owl Award winner will be announced in April. NOTE: This post will be updated as the finalists are announced. 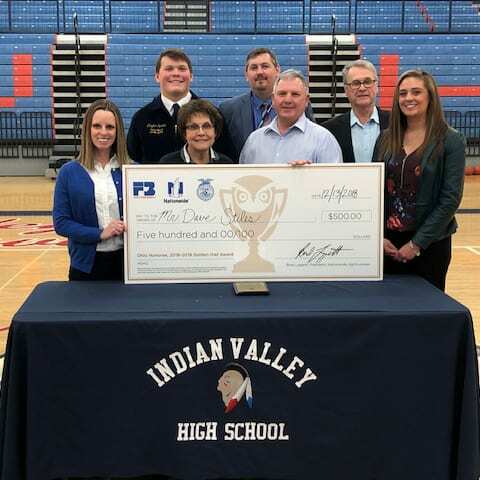 Pictured: Nationwide Sponsor Relations Account Executive Shawnda Vega, OFBF Organization Director Michele Specht, Indian Valley High FFA President Clayton Sprowl, finalist Dave Stiles, Nationwide Agent Don Kemp, Indian Valley High Principal Robert Clark and Alyssa Bregel FFA State Supervisor/Ohio Department of Education. UPDATE Jan. 3, 2019: Due to the partial shutdown of the federal government, Farm Service Agency offices are currently closed and unable to process in-person applications for the Market Facilitation Program. There are other options to sign up for the program electronically. Click here for more information. Deadline to apply is Jan. 15. Farmers who have already signed up but have yet to certify their 2018 crop production will have to wait for FSA offices to open in order to do so. 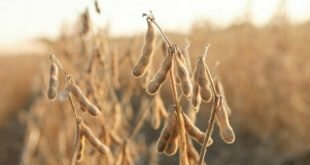 PREVIOUS: This week, USDA released the second and final round of trade mitigation payments aimed at assisting farmers impacted by the ongoing trade and tariff implications around the world. Corn, soybean, dairy and other farmers in Ohio and across the country are now eligible to receive Market Facilitation Program payments for the second half of their 2018 production. Producers who have signed up for MFP are eligible for the first and second payments. 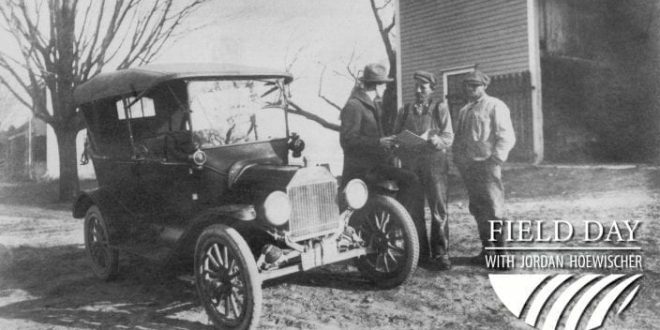 At the close of World War I, Ohio farmers organized to preserve their livelihoods and lifestyles. 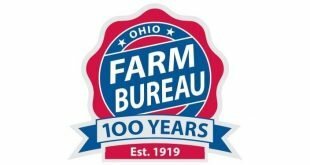 In 1919, they gave birth to the Ohio Farm Bureau Federation. 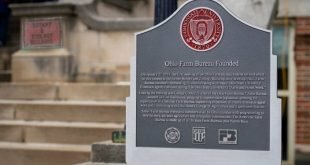 And since its origin, Farm Bureau has gone on to significantly shape the culture and economy of the Buckeye state. 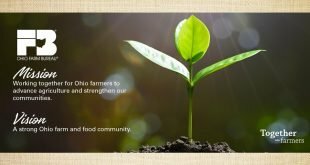 On this edition of Town Hall Ohio, celebrate the centennial of the state’s largest and most influential farm and food organization and hear from and about its leaders, its accomplishments and its plans for the future. 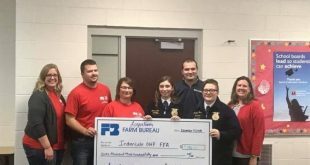 Logan County Farm Bureau is excited to announce the awarding of one of two grants from its newly formed Logan County Agriculture Impact Fund to Indian Lake/Ohio Hi-Point FFA program. 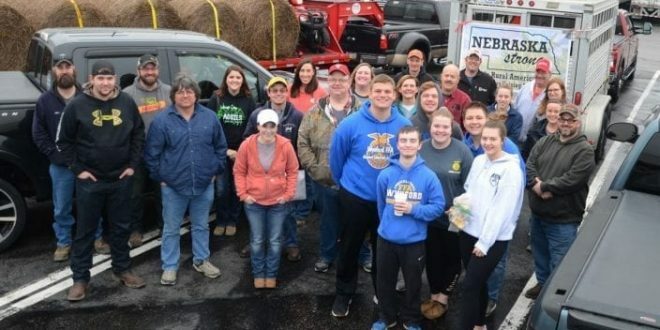 The Logan County Agriculture Impact Fund was created from the proceeds from last April’s Logan County Ag Impact Fund Reverse Raffle organized by the county Farm Bureau, and the county is proud to be able to award over $17,000 in grants this first year. The grants are designed to support and improve the agricultural footprint for youth, agriculture organizations, and schools to develop/improve programming about agriculture, improve infrastructure for agriculture education or promote agriculture in our community. Indian Lake/Ohio Hi-Point FFA program received a $7,350 Ag Impact Grant for the construction of a 24-by-26-foot animal project building. The building, called a chick-inn hutch, will be constructed on the school’s campus and will be stocked with equipment for feeding and maintaining animal projects that the chapter’s students will be raising.